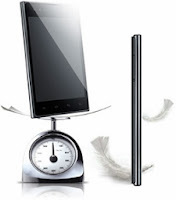 VU is LG’s amazing innovation and is surely a great device.Its screen size is big and offers 4.3 aspect ratio. 1.5 GHz Quad Core processor and a strong 8 mega-pixel camera add glamour to it.he VU has 5 inch screen size in HD-IPS LCD capacitive touch-screen technology. The screen resolution is XGA 1024 x 768 pixels and the display really pops out from the screen. This smartphone offers 4:3 aspect ratio assuring easy viewing and great display. The controls of the phone are easy and the keys are well placed. The left side hold the Volume key whereas, the right side hold the SIM slot with cover over it. On its top is a 3.5 mm ear-jack, USB/charging connector, dedicated Quick Memo key and the power key.LG VU runs on Android 4.0 (Ice cream Sandwich) platform and might we see it upgrading to 4.1 Jelly Bean. LG has used its latest TouchWiz 4.0, which is easy and classy. It’s easy doing multitasking and swapping between applications. 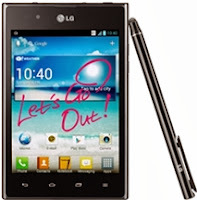 With a large number of excellent features and functions, LG VU has set a benchmark for its close competitors. Its 1.5 Dual Core ARM NVIDIA Tegra 3 processor and 1 GB RAM has worked well with the device. With its forceful promotion strategy, LG VU has an advantage over rivals. But, the price of the device and the Rubberdium Pen is not satisfactory and might distract audience. We consider it one of the best high end phones.